Installation of combination boilers for flats, bigger boilers for houses with hot water cylinders and commercial boilers for office blocks and larger properties. Working with a team of highly skilled and amiable people we install decent reliable heating systems that quite simply "just do their job". Installed as installed in Germany, a country where people have high expectations of what technology can do for man, we quite simply 'transform your heating system"
We mainly install Viessmann and Vaillant boilers with their own controls ensuring that the installation works seamlessly and issue free. Heating engineer was very knowledgeable about smart thermostats, weather compensation, modulation efficency and latest legislation/regulation requirements. They offered a selection of brands/models of boiler and controls with clear recommendations of which I chose Viessmann with Tado. Quote was provided promptly and comprehensive of all line items. Engineer was very flexible for installation date and fitted promptly with a clean installation and left the house tidy. Building Control certificate, warranty and invoice all received on the same day as installation. Final receipt received day after invoice paid. After not being happy with a company I had used I chose Alec based on his reviews to put in a new Vaillant boiler. What a great choice. As someone else said he knows his stuff and is incredibly efficient and went above and beyond to help with various problems. I was very happy to have him working in the flat and would have been happy to leave him working had I needed to go out. If you need an engineer you really can’t go wrong choosing Alec. I really cannot fault him. I asked Alec to service my boiler and advise on a couple of things with my heating. He had come earlier in the year when I was at my wits end of finding anyone who understood and could help me with my underfloor heating system with weather compensation. Alec did know how to make it work effectively. I am very grateful and pleased to have found him. Alec is clear about his charges and arrangements for making appointments. Good communications especially with texting. Has a very professional approach. Alec has just replaced our boiler, cleaned out our system and installed a Tado smart system. He clearly knows his stuff, was very reliable, sent his quote when he said he would, came promptly and did the work quickly and efficiently. Highly recommended. Alec Morrow has been working regularly for our family for 7 years, since 2011. Alec did an excellent job fitting a new central heating system for us in 2011, and has serviced it expertly every year since then. Alec always turns up when he says he will and investigates the system thoroughly, making sure it is both safe and fits the needs of our family. He really cares about doing the job properly and charges for the job rather than clock-watching. I first hired Alec because I wanted an engineer with genuine expertise and enthusiasm for saving energy and emissions. He was able to recommend a Remeha boiler, which I'd never heard of before, and install it, along with some new thermostatic radiator valves. Our home has been warmer and cheaper to heat ever since, with a control system that is easy to use. Alec also does gas safety checks. Great work, industrious, very knowledgable. Alec's service was super responsive and professional at all times. His work was of the highest quality and he really wanted to make sure we were happy. Alec managed to make boilers and their inner workings really interesting even to me, not an engineer or technical person at all. The choice was clear and I decided to chose quality above all. The installation happened while the house was being renovated so I didn't witness it first hand, but it all went smoothly. 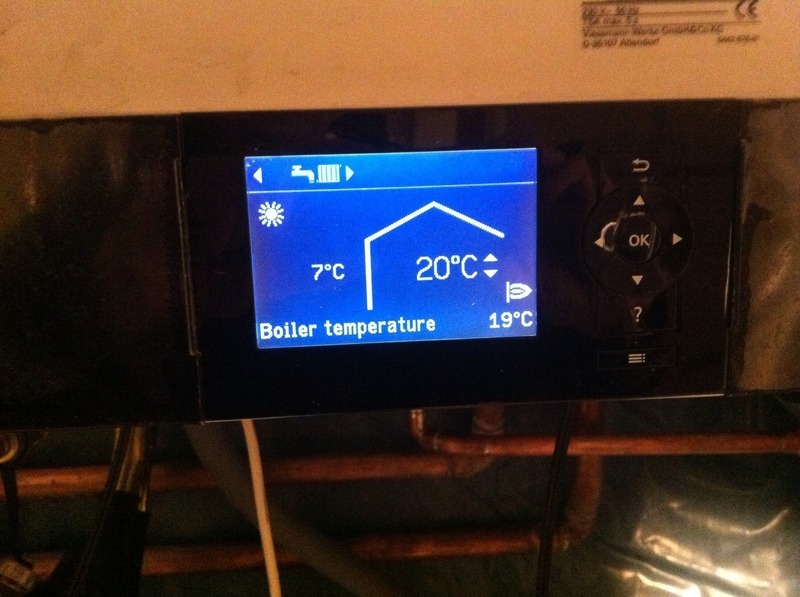 The after care has been excellent, both in terms of immediate support (in the summer) when getting to learn to use the app that controls the boiler remotely and in terms of ongoing support (now that winter is coming) when I have questions about any aspect of the boiler's functionality. Alec is very prompt with his replies, explanations and advice. All in all, the product and the service has been and continues to be excellent.